This Seyfert galaxy in Cetus was found by Mechain in 1780 and Messier observed it on December 17, 1780. M77 is located 47 million ly away and its outer regions measure 100,000 ly across. Its nucleus is surrounded by compact and bright spiral arms separated by well defined dust lanes. 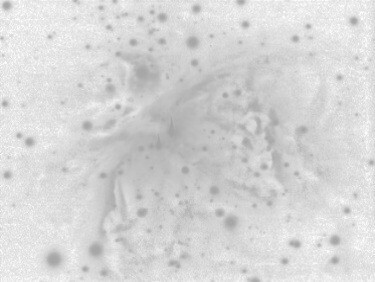 The outer region, however, has very low surface brightness and its spiral structure can only be suspected from two barely noticable dust lanes. 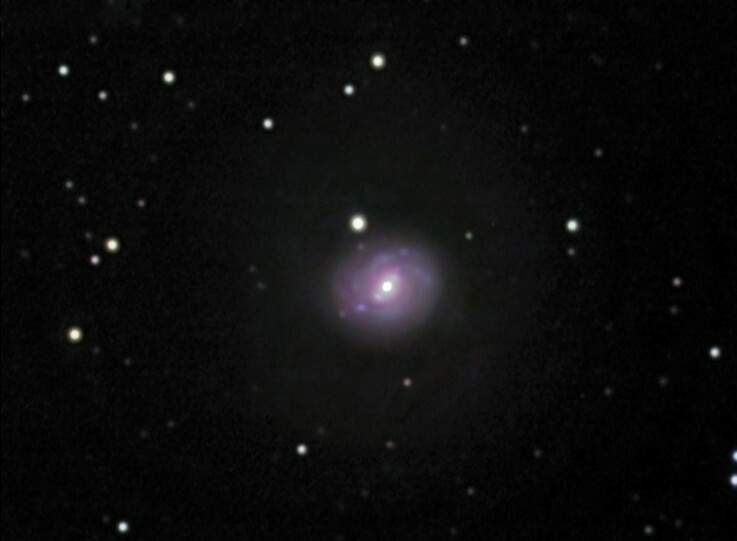 Such multi-layer structure resembles that of M94. 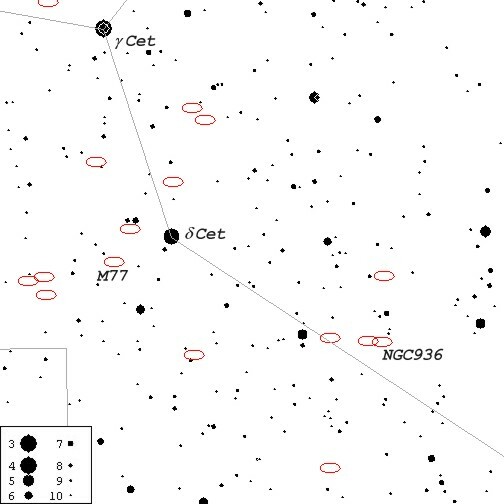 M77 is located abot 50' SEE of d Ceti (see finder chart below). The above image was taken on October 18, 1998 from Sooke, BC. Cookbook 245 LDC CCD camera was used on Ultima 8 f6.3 telescope autoguided with Cookbook 211 LDC CCD camera on a piggybacked 500mm f8 telephoto lens. The image is composed of white exposures (10 x 4 min.) as well as cyan, magenta and yellow-filtered integrations (6 x 4 min. each) combined with AIP4WIN. Color composite was then adjusted in Lab color space using Corel PhotoPaint 8.